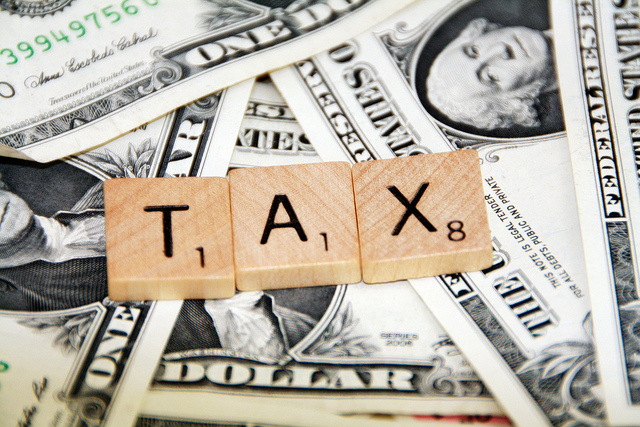 Taxes have a wide range of rates, thresholds and burdens for different kinds of taxpayers. In general, we describe a tax as progressive or regressive by comparing the tax paid by an individual with the income of that individual. A progressive tax is a tax where the average tax rate, or the total amount of tax paid as a percentage of income, increases as the taxpayer’s income increases. A tax may be progressive if people with higher incomes pay a higher tax rate (e.g. the personal income tax). Alternatively, taxes can be progressive if the tax is levied on an action or purchase that is more common amongst wealthier people (e.g. the luxury car tax, or an inheritance tax). A regressive tax is the opposite, where the average tax rate, or amount of tax paid as a percentage of income, decreases as income increases. An example of a regressive tax is a head tax, or lump sum tax, which requires each taxpayer to pay an identical amount of tax. While a head tax is equal in the sense that each taxpayer pays exactly the same amount, it is a regressive tax because the amount of tax paid as a percentage of income decreases as income increases. A proportional tax lies between a progressive and a regressive tax, and collects a constant percentage of income in tax for all taxpayers. The most common example of a progressive tax is the personal income tax. As an individual’s taxable income increases, they enter higher tax brackets, and pay a higher percentage of each dollar earned in tax. 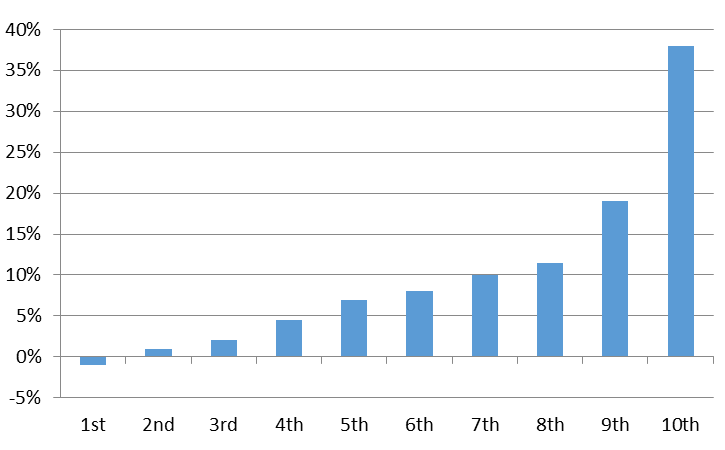 This is shown in the chart below, which displays the marginal and average tax rates for the Australian income tax in 2014-15. Note: These are the statutory marginal tax rates excluding the phase out of the Medicare Levy and low income tax offset that cause the tax schedule to become regressive over some ranges. While the income tax is progressive, many of Australia’s other taxes are regressive. So-called “sin taxes”, such as taxes on gambling, alcohol and tobacco tend to be regressive because they disproportionately affect those on low incomes. Many government charges and fines such as motor vehicle registration, are highly regressive. A recent report suggests that traffic fines and penalties could be designed in a progressive way, so that a greater burden applies for offenders with higher incomes. The GST is an interesting and important case. When the GST is examined as a proportion of income, the GST is found to be a regressive tax, even though the GST is applied at a constant rate of 10 per cent. This is because people with higher incomes tend to spend less (and save more) of their income than people with lower incomes, which results in less GST being paid as a percentage of the income of higher income earners. 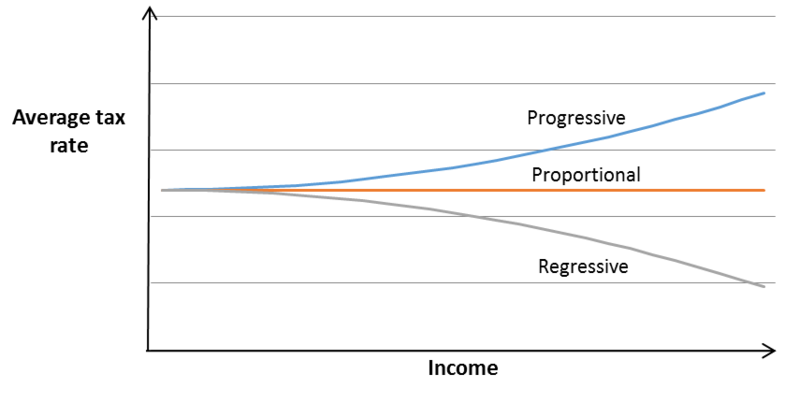 However, progressivity can also be measured against household expenditure rather than income. This could be justified as a proxy for lifetime income (ignoring bequests or inheritances), or as a measure of ability to pay in its own right. As shown in Figure 3, the GST is close to a proportional tax when compared to an expenditure benchmark. This is also shown in a 2014 OECD study on distributional effects of consumption taxes. Source: 2009 Household Expenditure Survey: Authors calculation based on the ABS Fiscal Incidence Study. Note: This figure is based on the existing GST, rather than an ideal broad based GST with no exemptions. Progressivity can be measured across the whole tax and transfer (welfare) system. Such an overall measure takes into account the effects of all taxes in the system on different individuals or households, combined with the payment of cash transfers and withdrawal of benefits over time. The figure below uses data from the Australian Bureau of Statistics and includes all taxes (except the corporate income tax). It shows that the Australian tax system is only very slightly progressive; those in the lowest income quintile pay around 22 per cent of their income in tax, while those in the highest quintile pay around 27 per cent of their income in tax. However, when combined with transfer payments, the overall tax and transfer system is highly progressive (represented by the black line on the chart). 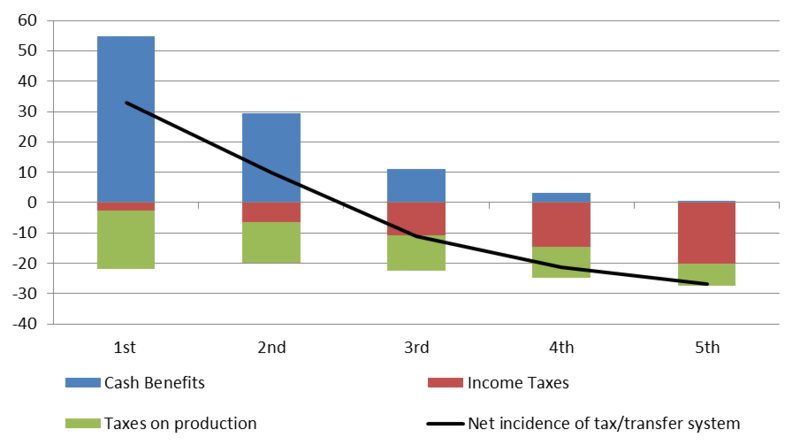 This chart also provides an important insight into the nature of redistribution using the tax system. While the income tax is more progressive than the rest of the tax system (the red versus the green areas), the transfer system is much more progressive than the income tax. As a result, a key determinant of the progressivity of a tax/transfer system is the absolute size of the transfer system (discussed further on p. 35 of this Productivity Commission report). There isn’t a single measure of progressivity. In fact, there are a variety of options that need to be considered in order to estimate how progressive or regressive a tax is. First, ideally progressivity is determined based on the economic incidence (as opposed to the legal incidence) of a tax. Those who are legally obliged to pay a tax will often try to pass that tax on to another party. For instance, taxes placed on producers, or on vendors, may be passed on to customers, either in part or in full, through increased prices. In practice, it may be difficult to determine exactly who bears the economic burden of a tax, as this depends on how wages, prices and behavior changes in our economy. As a result, simplifying rules of thumb are often used. For example, it is usually assumed that all GST is borne by the final consumer, and all income and payroll tax on wages, paid or withheld by the employer, is borne by the employee. (On the potential problems with this assumption about payroll tax, see Mathias Sinning’s article on the blog). Second, it is necessary to decide which definition of income (or expenditure) is to be used as the benchmark for defining progressivity. This is usually annual disposable income after all taxes and transfers are taken into account. However, if the data is available it may be possible to consider progressivity over a longer time period (in Australia such long-term data is not available, and so estimates of lifetime progressivity must be modelled, such as in chapter 6 of this Productivity Commission report). Third, it is necessary to decide the appropriate unit for comparison. Progressivity is generally estimated at either the household level or the individual level. This choice has important implications when looking at the impact of the tax and transfer system, as the tax system is largely based on the individual, while the transfer system is largely based on the household. To see why this might be important, consider the example of an increase in the minimum wage. By definition, this will be a progressive policy change when using individuals as the base because people earning minimum wage are at the low end of the income distribution. However, if those low income individuals are earning income in a high income household that has other sources of income (for instance if they are children living with their parents), then the same policy may be regressive when measured using the household as a base. This issue was considered by Andrew Leigh in 2007, who found that ‘given that the typical minimum wage worker lives in a middle-income household, it appears unlikely that raising the minimum wage will significantly lower family income inequality’. Taking the first adult in the household as having a weight of 1 point, each additional person who is 15 years or older is allocated 0.5 points, and each child under the age of 15 is allocated 0.3 points. Equivalised household income is derived by dividing total household income by a factor equal to the sum of the equivalence points allocated to the household members. In many cases, the choice of individual or household as the base for comparison and the choice of income definition will only have a minor effect on the results. However, particular care needs to be taken when analyzing progressivity for individuals or households in some particular circumstances. Retired people or students may have very little income on an annual basis but may have considerable wealth, expected future earnings or future wealth and therefore may be considered reasonably well off overall. Families in which individuals – especially women – are taking time out of the labour force to care for young children, providing valuable “imputed income” in the household but not earning income measured in the data. Unemployed people, particularly where people are unemployed for short periods of time, may report low income in one particular year, but over a longer time period may be reasonably well off. Progressivity of taxes and transfers can also be estimated by comparing the impact of a tax with more general measures or indexes of income inequality. An example is the Gini coefficient which measures how unequal the distribution of income is among individuals and households. It is possible to estimate the Gini coefficient before taxes and transfers, and compare it with the Gini coefficient after taxes and transfers. This also gives us information about progressivity of the tax and transfer system. This summarises the progressivity of a tax system into a single number, and as a result it can be used to make comparisons between tax systems over time or across countries. Using the same framework used to estimate progressivity and regressivity, it is possible to show the incidence of taxes and transfers over the age distribution of a population. 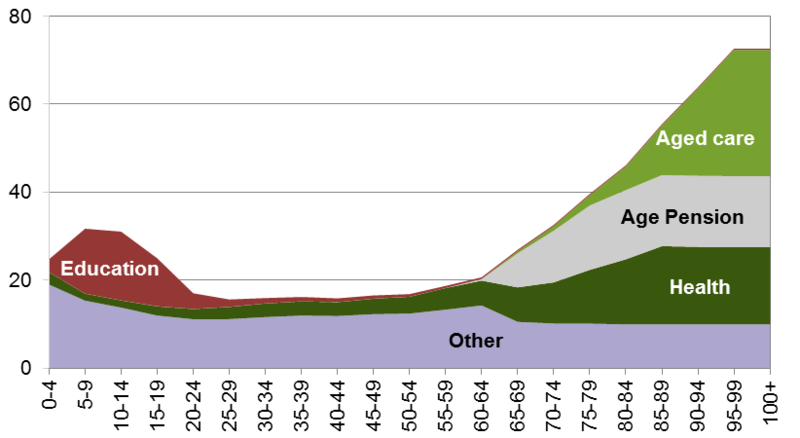 The following chart shows that Australia’s government spending is highly concentrated towards older Australians (and suggests why population ageing will put pressure on the federal budget). Source: Chart 5.1, An Ageing Australia, Preparing for the Future. Productivity Commission. It is possible to estimate the progressivity or distributional impact of tax concessions in the system, such as exemptions or low tax rates, as well as the progressivity of the overall tax rate structure. Such analyses follow the same basic structure as the examples given above. However, to estimate whether or not a tax concession is progressive or regressive, it is necessary to accurately identify the incidence of the tax expenditure. This is difficult for a number of Australia’s large tax expenditures (a discussion of the difficulties in this context can be found here and here). Putting aside difficulties in exact measurement, it is clear that a number of Australia’s tax expenditures are regressive. 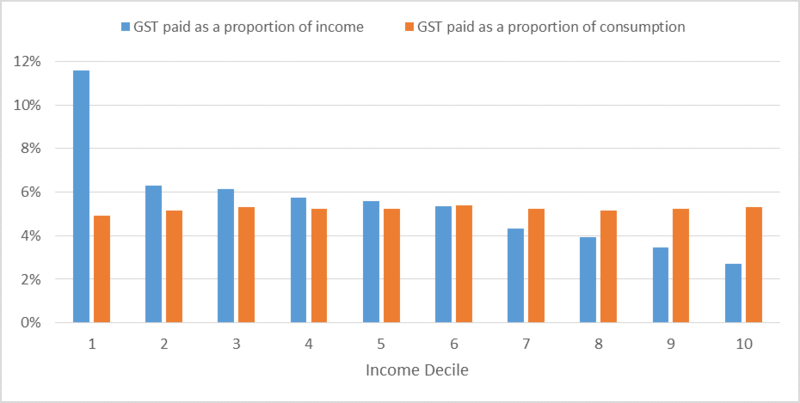 For example, Figure 7 below shows the proportion of superannuation tax concession received by people in different parts of the income distribution, and shows that they are highly skewed towards high income individuals. In fact, individuals in the lowest income decile are actually worse off as a result of our tax rules for superannuation. Source: A Stocktake of the tax system and directions for reform, Chart 4.12, the Tax and Transfer Policy Institute. 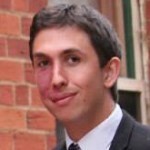 Peter Varela is a Research Fellow at the Tax and Transfer Policy Institute, and a PhD candidate at the ANU. His research is in applied public finance. Before commencing his research, he worked as a Research Economist at the Productivity Commission. The Progressive Value Added Tax published on amazon as a book by Julio Altamirano: Abstract: A viable solution to the regressive-progressive GST debate and the costs consequences and effects of inflation? So the base for taxation is your personal expenditure in a year, is that correct? I assume this tax is not applied to corporate income tax. Would that be right? Does this include mortgage repayments?